Is your office overflowing in paperwork? Is your company drowning in the amount of documents you have to keep on file? Let Salt Lake City Document Scanning relieve you of your burden! 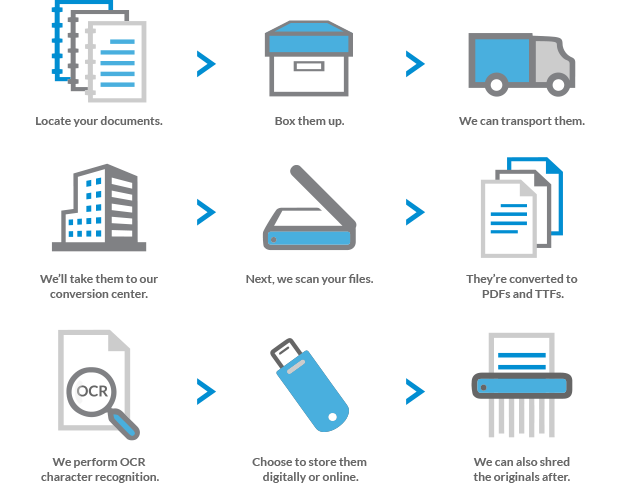 We’re the premier document scanning company in Salt Lake City, Utah, with some of the most affordable prices and the most convenient features. When you choose us, you can keep less paper on hand, freeing up your workspace, and store your documents either online or on physical storage devices, such as DVDs and flash drives. Our online repository is secure and easily accessible, with the option to allow as many users as necessary, so no one will ever be out of the loop.